This page discusses the way forward for research at Alderley Edge. The Club's interests at the Edge have shifted over time from simple exploration of lost mines through discovery of more about the mines to true archaeologically structured research. To some extent, opportunities still exist for the earlier type of activity although much more care is now taken to preserve evidence of early working but the emphasis has shifted towards more academic research. This change is documented in the table below which formed part of the discussion with the National Trust when our current system of work plans was developed. Out of this arose a system of classification for work carried out into five headings as summarised below. The most important single development was the creation of Work Plans for all but the least intrusive work. The Work Plan allows the Club and the National Trust to agree the appropriate way to handle each project, whether it is simply replacing a ladder or clearing a backfilled shaft from top to bottom. 1 Where the activity proposed is of very low impact on the historical features of the site, we would prepare a plan of action to cover archaeological issues as well as safety and property issues (such as access and protection for the public). This would require a one-page plan to be submitted to the NT. Once agreed, the job could go ahead. A typical case would be the removal of the redundant DCC equipment. 2 If the activity involves digging but is not on a scheduled monument or in a sensitive area, then a plan of action would be agreed as above. This would include the following important measures: 1 Agreement to produce a record during and at the end of the dig of what is found, 2 a 'watching brief' meaning that someone with archaeological skills, who could be a DCC member, looks at the dig regularly to see if the situation has changed and to decide whether the dig should move up a level. The archaeologist would, for example, look to see if the dig has changed from a 19th century to a Bronze Age site. At the end of the dig, a simple report should be prepared saying what was done and what was found. 3 Where the site is definitely a sensitive one because it is in a known area of important history or it is in a completely unknown area, then the NT will want a full research proposal. This will describe the aims of the dig, the methods to be used, the people involved, how it is to be recorded and how it is to be reported. Proper finds handling will be needed and it will be necessary to record the site periodically. There may be spells of 'easier' digging but the diggers would have to be methodical in their work and prepared to stop from time to time to check that their assumptions about the site held true. Support, capping, ladders and so on would need to be sympathetically installed. At the end of the dig, a proper report would be prepared for the National Trust. 4 At the top level of digging, there would be the cases where we require English Heritage's support and the government's approval (Department of Culture, Media and Sport!). Again, we would need a research plan but this would be submitted in conjunction with the National Trust who would keep a close eye on the dig. All the requirements of recording would be as for Level 3 but in addition, the report would need to be submitted to Cheshire County Council and English Heritage so the expectations would be higher again. 5 If there is a Level 5, it is probably that we would not be permitted to dig at all. If digging is appropriate, it would be supervised by others, rather as Pot Shaft was dug. In this case, we might provide the ideas and manpower but the responsibility for the dig is with others. The Work Plans referred to above are designed to be one or two page documents capturing the essential ideas of the work and forming the basis either for agreement to proceed or a more detailed proposal. The Work Plan template is available to download as a DOC file or PDF. To date, over 30 Work Plans have been prepared. The Work Plan is normally accompanied by a Risk Assessment (based on HSE guidance) even though the work does not fall under the Health and Safety at Work etc Act, the Club not being an employer. The research programme is currently no more than a wish list. This is reproduced below without the detail which is present on the internally circulated list. For further details, please contact the Club. 1.1 Depressions adjacent Cow Lane on the west side above Brynlow Mine. Were these shafts, if so, dug by whom and when? Were they the shafts that Roe was alleged to be heading towards? 1.2 Ponds on east side of Cow Lane. These appear to be mine related. 1.3 Characterise and attempt to date different pickworking patterns. 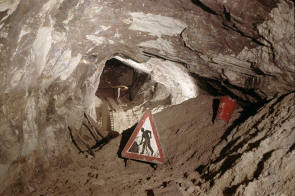 This project would cover Brynlow and similar older mines such as parts of Engine Vein and the Hough Level. 2.1 Shaft in Brynlow field near Field Shaft. This shaft, fenced around, appears to be unconnected with the known mining but lies on a route shown in the 1923 metalliferous mining report. There is another feature nearby which is shown fenced round on the 1909 OS map. 2.2 Hough Level near sandhills. Complete the investigation of the passage leading off from the junction. 2.3 Hough Level and Brynlow opencast. Attempt to date the passages that come down into the Hough Level at the junction. 2.4 Hough Level between Brynlow and the junction. Research and interpret marks on the fault wall. 3.1 The Windmill. Size, age, ore around? 3.2 Building on south side of the Hagg. Age, use, relationship to mines? 3.3 Depressions east of track from Beacon Lodge to the Hagg. Mine shafts? These are beyond the extent of Wood Mine. 3.4 Tips around Timber Shaft. Attempt to date these and see if they are mine debris or rubbish. 3.5 The Squeedle shaft at Wood Mine. Filled with rubbish in the 1960s, this would provide a good second exit for Wood Mine. 3.6 Possible adit above Wood Mine entrance. 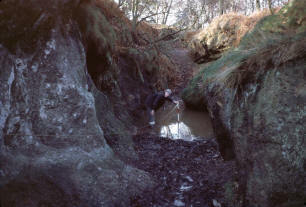 Suspected adit entrance higher up in Windmill Wood between the current adit and the old quarry. 3.7 Slag on path through Windmill Wood. Is this local? What process did it come from? 3.8 Research the working pattern, history and use of individual passages, haulage routes and ventilation. This will apply to West and Wood Mines and mid-19th C parts of Engine Vein and the Hough Level. 4.1 Beacon Lodge shaft. Used as rubbish dump by former NT wardens but in an area where the Engine Vein fault crosses from Engine Vein to Wood Mine. No associated underground workings. 4.2 Shafts west of Engine Vein. There is one here which is full of rubbish and it would be safer if it were secured. It would also provide a better route into the 'West End Series'. Outside SAM. 4.3 Engine Vein entrance passage. Replace the scaffolding and wooden ramp with a custom-designed structure. Would have to be designed for minimal damage to the wall. 4.4 West of Engine Vein. Map the depressions in the wood (work already done some years ago) and draw conclusions about which are shafts, buildings, tree throws or Roeder's hut circles. 5.1 Canyon opencast area. Sort out possible connections between the canyon opencast and Square Shaft. 5.2 Square Shaft. As above. Also, explore level to Pillar Mine and try to date it. 5.3 Round Shaft at Canyon Opencast: investigate. This shaft was open in the 1960s. 5.4 Pine Shaft area south of Canyon Opencast. Two small mines were found here in the 1990s. The area needs careful surveying even if no other excavation is carried out. 5.5 Canyon in general needs to be mapped and interpreted from end to end including outlying suspected shafts. 6.1 Doc Mine. Remove blockage in main passage and restore access to full length. 6.2 Devil's Grave. 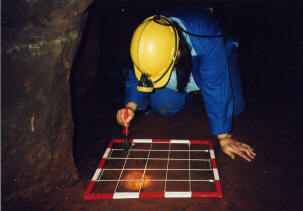 Thorough survey and attempt to interpret the features of the mine. 6.3 Rock Shaft. When Doc Mine is reopened, we could look at the possibility of making the connection with Rock Shaft if it exists. 6.4 Depression near Rock Shaft. There is a suggestion of a shaft slightly higher up on Glaze Hill. What is this? 7.1 Saddlebole. Check out the other possible mine entrance lower down the hill than the existing mine. 8.1 Finlow Mine. Complete the surveying. 9.1 Scout Hole (not on NT land but on SAM). Explore and record the older working just outside the entrance. 10.1 Cobalt Mine. Complete survey of northern end and branch off Tom's shaft below museum. 10.2 Characterise and attempt to date different pickworking patterns. This project would cover the Cobalt Mine and similar older mines such as the western end of Engine Vein. 11.1 Level below Beacon. Re-open, record and close. 11.2 Level near Wizard Well. Locate, open, record and close. 11.3 Investigate possibility of level leading up to road near Castle Rock layby. 11.4 Locate New Venture Shaft. 11.5 Survey level north of Engine Vein. 11.6 Investigate workings parallel to Great Quarry. 12.1 The Surgery. Dating, history of change including refurbishment by DCC. As this programme develops, this section will be kept up to date from time to time. The end product of the work is a series of reports. For a number of reasons, we do not wish them to be generally readable so they have been produced as secured PDFs and a password will be required to read the report. Anyone wishing to do so should contact the Club (Webmaster [at] Derbyscc.org.uk) and you wll be issued with a password if sufficient reason is provided.